Scientists at Virginia Tech have come up with a brand new way to create hydrogen fuel: It’s cheap, fast and produces clean results, and involves plain old corn stalks, cobs and husks. Zhang and his team have already received the grant for the next phase of the research, which is to outline methods for mass production. This is where the world’s simplest sugar comes in: xylose. The resulting amounts of hydrogen in the study were possible previously only in theory. The method for production proposed by the Virginia Tech scientists releases barely any greenhouse gases and does not involve heavy metals. It also relies exclusively on processed sugars. The dirty biomass of corn stover is also a bonus as the fuel will have become readily available fresh out of the processing plants. This means it would be possible to make the sale of such fuel a local enterprise. 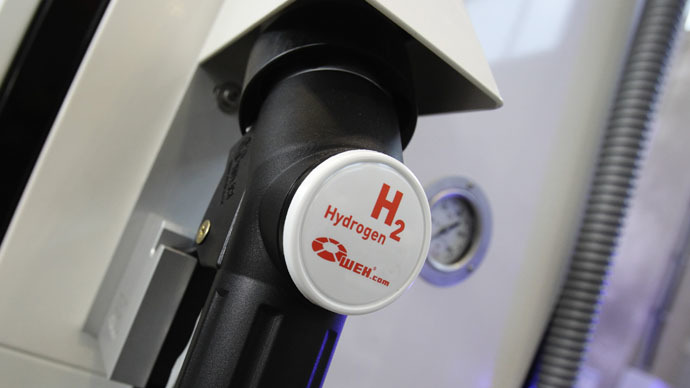 "We have demonstrated the most important step toward a hydrogen economy - producing distributed and affordable green hydrogen from local biomass resources," Zhang says. Joe Rollin, lead author on the paper, Zhang’s former doctoral student and co-founder with Zhang of the start-up Cell-free Bioinnovations, created a complex multi-step algorithm describing the breakdown of corn stover into hydrogen and carbon dioxide. His model also allows for glucose to be used alongside xylose simultaneously, further increasing the rate of production. This fact was also not possible before. The above achieves a three-fold increase in the rate of production, as well as greatly reduces the size of the facility required for such a production – to about the size of a gas station – and, most importantly, does not use natural gases, which would entail further distribution costs and most certainly be bad for the environment. Rollin’s model is also brilliant in that it generates ultra-pure hydrogen, which is the stuff used in fuel cell vehicles. "We believe this exciting technology has the potential to enable the widespread use of hydrogen fuel cell vehicles around the world and displace fossil fuels," Rollin says. Xylose is key here, as it splits water molecules, in turn producing higher purity stuff. Though a complex process, the energy efficiency of this approach is 100 percent. By contrast, other sugar-based processes for biofuel generation – ethanol and butanol – can’t touch these figures. Zhang’s previous research, on which Rollin’s model is built, used starch to produce the resulting hydrogen, but the process was too costly for mass production. The current technique covers all the bases required to start thinking big. The world has been looking for decades for a way to wean itself off of dirty energy dependency and high fuel costs. The idea to use hydrogen has long been in the making. The US Department of Energy has admitted that a clean hydrogen fuel could dramatically alter our lifestyles. Are alternatively-powered cars a futuristic, utopian concept for now? Not at all. There were plenty of examples at this year’s North American Auto Show of car makers boldly stepping into new terrain with myriad new technologies – hydrogen-based fuel among them. Check out Honda’s Fuel Cell Vehicle (FCV), slated for production in 2016. But the scientists need to hurry. The market for electric cars is likewise on the rise. So much so it could cut fuel costs by 13 billion pounds and drive down UK oil imports alone by 40 percent by 2030, according to a new study. The technology, however, is here to stay. The Chinese, in their desperate bid to curb greenhouse emissions – among the highest in the world – have a couple of weeks ago rolled out their first hydrogen-powered trams. They are also the first to have done so. Official data currently puts the commercial market for hydrogen gas at $100 billion; it’s both slow, dirty and expensive to produce. Zhang and Rollin’s model is set to change that.